Design Portfolio | Bull Marketing Inc. Portfolio - Bull Marketing Inc.
With a strict focus on serving institutional investment managers, diversified wealth management firms and independent RIAs, Bull Marketing has demonstrated time and again the adept ability to generate precise technical drawings, charts and tables that stretch far beyond the bounds of basic graphic design and web development. 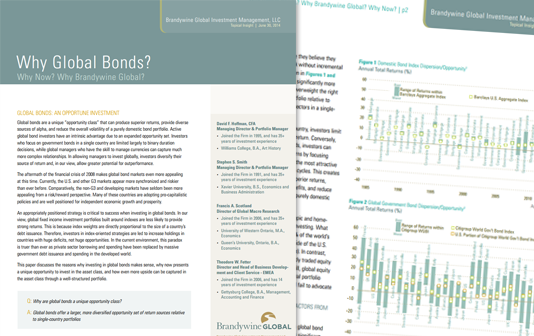 FIS Group leverages our expertise in developing pitch book presentations year round. We regularly build complex charts and memorable infographics that visually tell a story of value and strategically leads the eye through each presentation. FIS Group also engages us as a technical advisor. We assist by addressing technological hurdles as they arise with respect to applications that we specialize in such as Adobe Creative Cloud and MS Office Suite. FIS Group tells us that they consider the work that we do for them “Yeoman’s work”. Meaning we play an integral and valuable role, diligently performing critical maintenance tasks rudimentary to the production of successful pitch books. 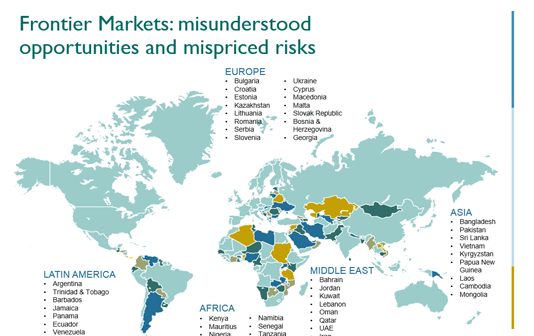 FIS Group is an institutional investment firm that manages complexity, risk, and opportunity through the intersection of investment skill and macro-tactical advantage. FIS Group offers an integrated and comprehensive investment approach that results in flexible, sustainable and empirically grounded custom solutions. 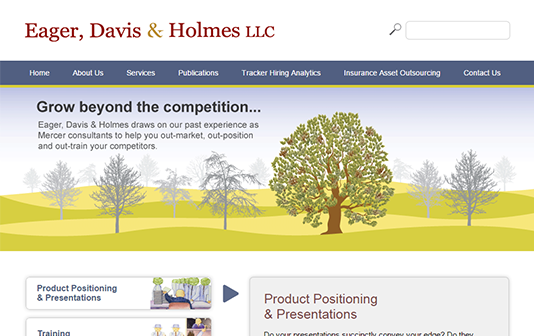 Eager, Davis & Holmes (EDH) recently approached Bull Marketing about re-designing a static legacy website. The objective of the project was to design a fresh and clean look that communicated brand value and trust, while bringing the back-end of the website in line with current web standards and Google best practices for optimal SEO results. In addition, EDH also requested that we develop a custom graphic for their landing page that encapsulated their brand message more intimately than a stock photo, which also complimented existing branded graphics that identify each service. The result is a complete success. The new website is dynamic, which means all updates and maintenance are streamlined and less costly moving forward. The responsive technology allows the website to intelligently optimize layouts depending on whether the user is accessing the site via desktop, tablet or mobile phone. The website navigation and user interface was re-organized to improve user comprehension and create a more intuitive user experience that aides in improving click conversions. 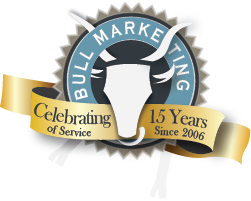 When we asked EDH how they would rate their experience with Bull Marketing, they said that their experience was “Excellent”. Additionally, they were impressed with our ability to quickly respond to requests and felt more comfortable throughout the process because they got to work directly with key designers working on the website. 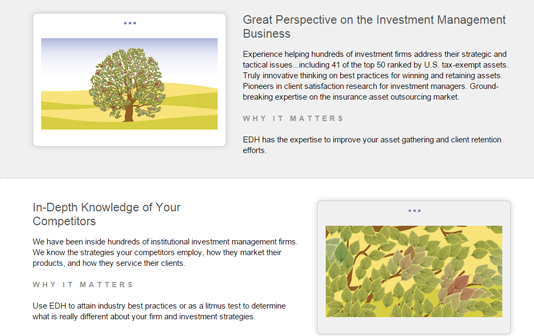 EDH partners with institutional investment management firms offering insightful perspectives, in-depth competitor knowledge, expert market proxy advice and senior partner attention. Their services include Product Positioning & Presentations, Training, Insurance Market Guidance, and Client Satisfaction & Other Business Issues. 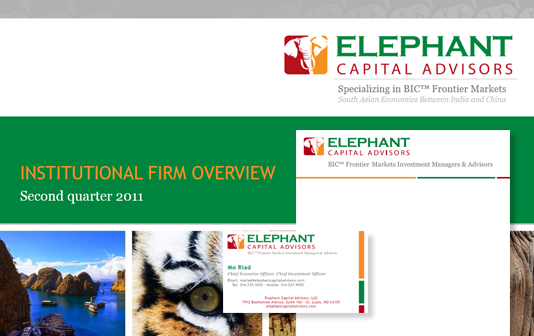 Elephant Capital Advisors (ECA) approached us when they were just starting out as a new firm. 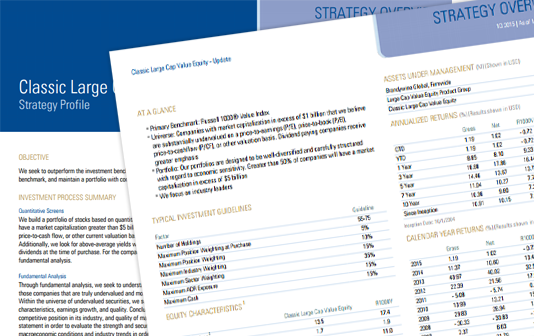 They were looking for a designer who knew how to create professional graphics for institutional investors. We started by designing a memorable logo that communicated brand value, established client trust, and was easily recognizable. The logo elements harness the rich colors and themes of Southeast Asia, the geographic region that ECA invests in, and features a symbolic elephant that is native to the region. After the logo was perfected, we developed complimentary brand materials such as business cards, stationary, a pitch book and a website. 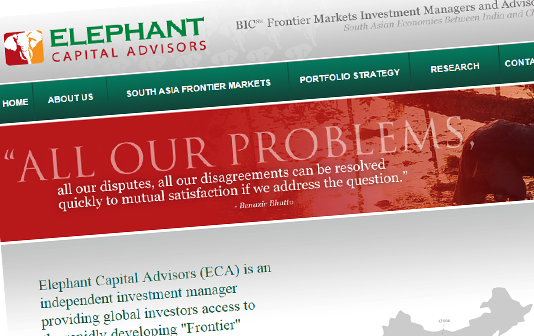 ECA is an independent investment manager providing global investors access to the rapidly developing “Frontier” economies of South Asia. 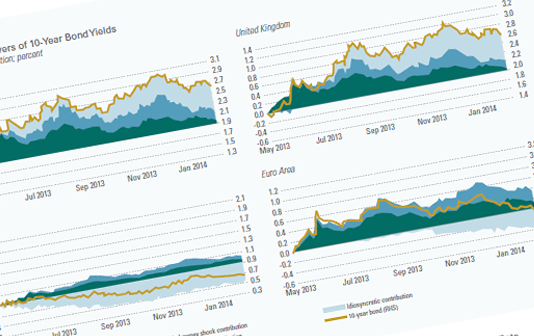 The US-based portfolio management team employs a top down macroeconomic investment approach supplemented with strong fundamental equity and market analysis to uncover unique investment opportunities in these for a promising new emerging market sub-asset class.